My daughter's kindergarten class is working hard on their number sense and getting comfortable with number pairs that add up to ten. I made a heart themed game that we can play to help her work on this at home. Check out how we played and grab this freebie for your students to use. To set up the game, cut out the hearts and you will cut on the faint dotted line to cut the hearts in half. Print out the Make Ten game board on cardstock for durability. If you are planning to use this as a math center, you will probably want to laminate it. Have students take turns picking out half of a heart and then searching for the other part that adds up to make ten. When they find the match, set it on the game board on a tens square. 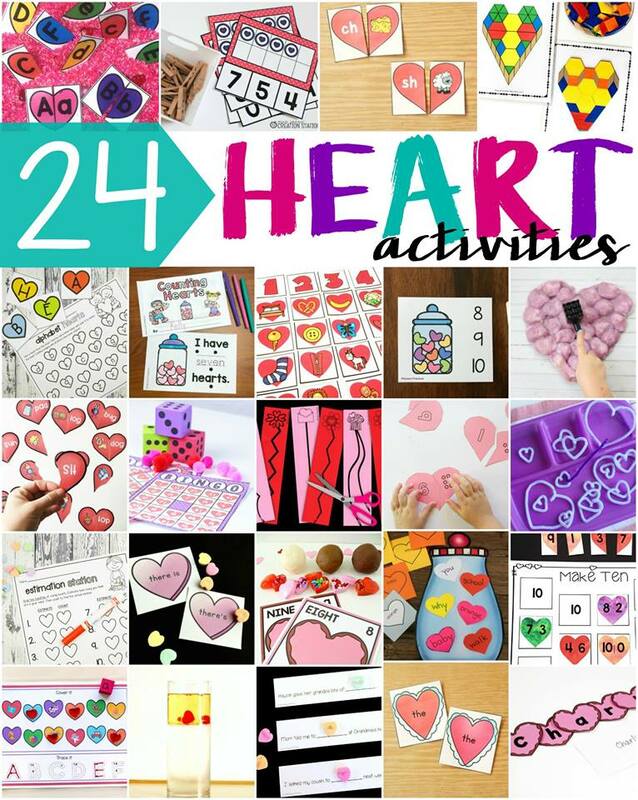 The hearts have different colors to help support learners that might be overwhelmed by all the choices of hearts and numbers. If they look for the same color heart, they will have less numbers to decide between to add up to 10. 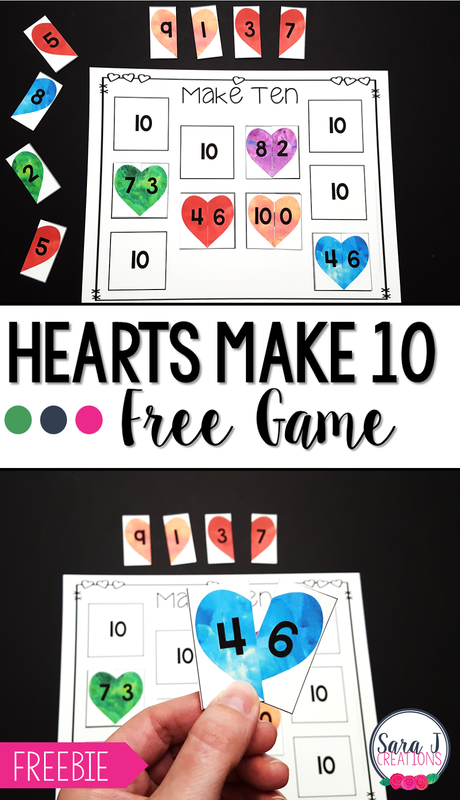 Another option to play this game is to set up half of the hearts and have students find the other part that makes ten. You could also tell them that the colors do not have to match so that they are strictly looking at numbers instead of using the colors to support them. Another idea would be to give each child a make ten mat and have them race to see who can fill up their mat first with number pairs that equal ten. To get your free copy of this game, just scroll to the bottom of this post and look for the "click to download" button. Are you on a heart kick? Check out these other awesome heart ideas and freebies by some amazing bloggers. Do you want to play Hearts Make Ten? I've got a free copy for you. Click the "click to download button," enter your information and they will be emailed right to you.